Nothing says summer like fresh cold watermelon on a hot day! You know what else tastes great on a hot summer day (or any day for that matter! )…a margarita!! 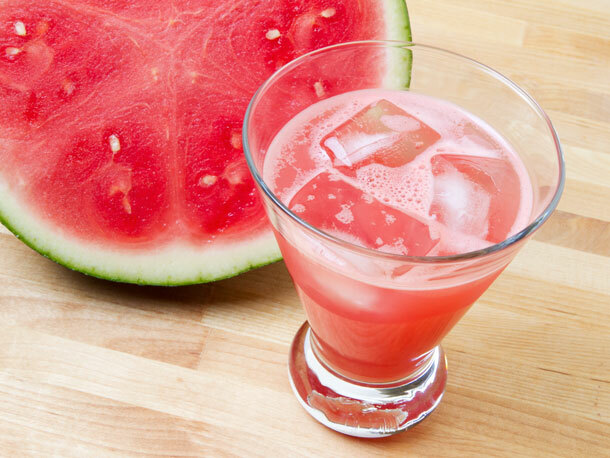 And we can’t think of a better combination that a super-yummy Watermelon Margarita! To get the watermelon flavor to really come through in this thirst-quencher, you’ll whir an ample amount of ripe cubed melon (seedless is best) in a blender with a little kosher salt. Be sure to strain through a fine-mesh sieve to avoid any pulp in the drink. Add watermelon, salt, lime juice, St. Germain, and tequila to a blender. Puree until smooth. Strain through a fine-mesh strainer into a pitcher, using the bottom of a ladle or a rubber spatula to press liquid through strainer. Mixture can be served immediately or sealed and chilled for up to five hours in the refrigerator. When ready to serve, fill three serving glasses with ice, re-stir mixture, and and divide evenly between glasses. Serve immediately.